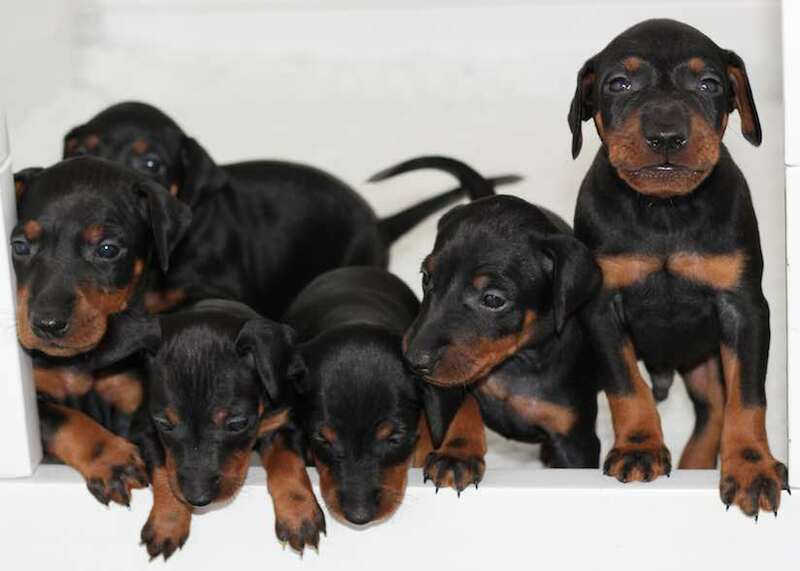 Manchester Terrier is a descendant of Britain’s Black and Tan Terrier. Farmers bred the Manchester as a “ratting machine.” Its prime purpose was to keep the farm rabbit and rat population under control. 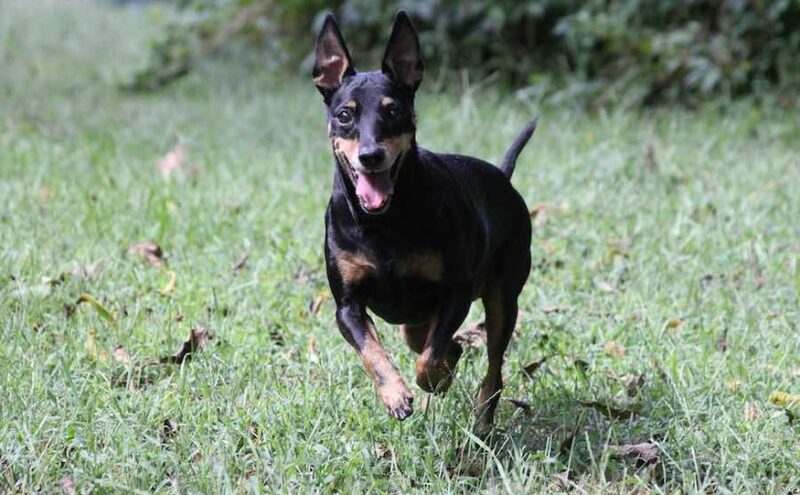 The Manchester Terrier dog breed was respected for its prowess in the rat pit and one dog, ‘Billy,’ is reported to have dispatched 100 rats to that great cheese tray in the sky in just six minutes and 13 seconds. 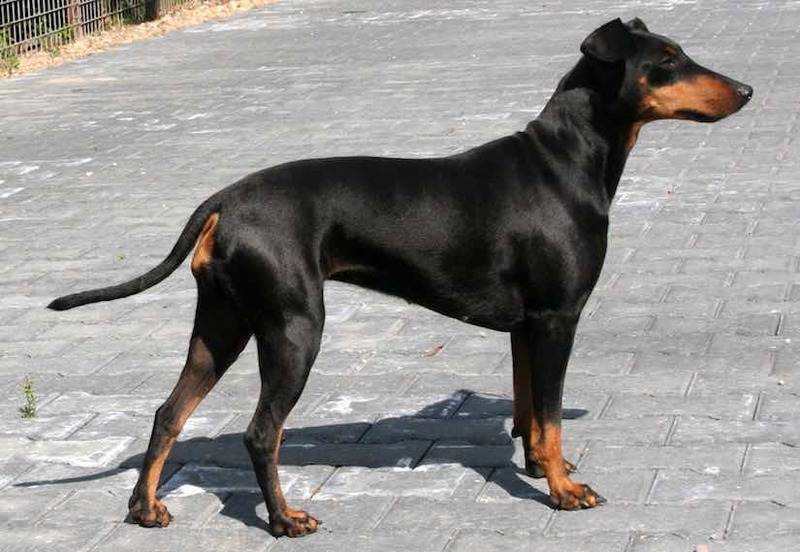 Two events almost led to the breed’s disappearance. The first was the banning of blood sports and the second was the banning of ear cropping. The Manchester’s ears, cropped to prevent them from suffering rat bites, took on an ungainly appearance in their natural state. Next, a precise breed standard made perfect specimens very challenging to breed and public favor moved on to other terriers. 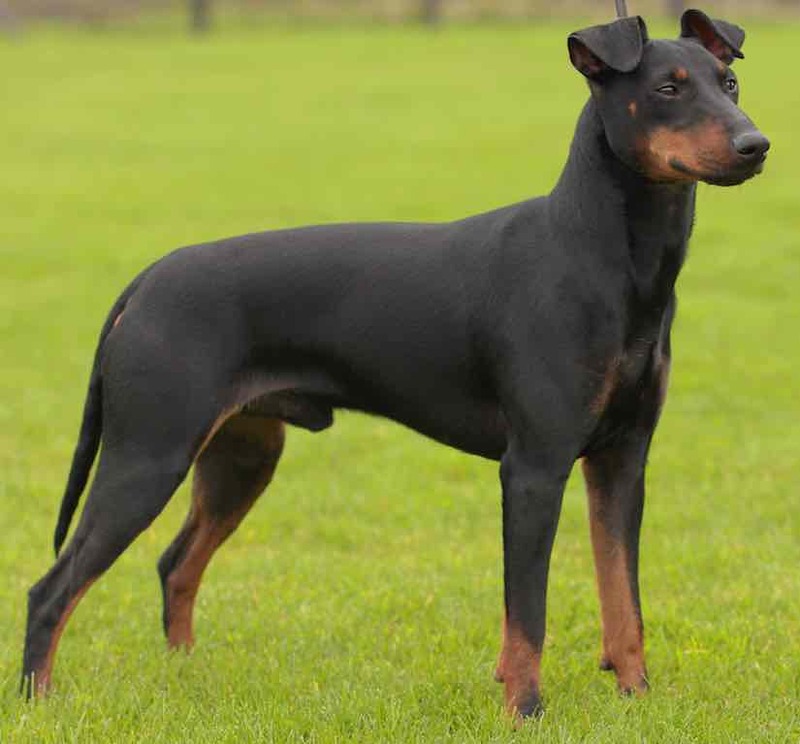 Samuel Handley of Manchester, Lancashire was the foremost breeder of Manchester Terrier breed. 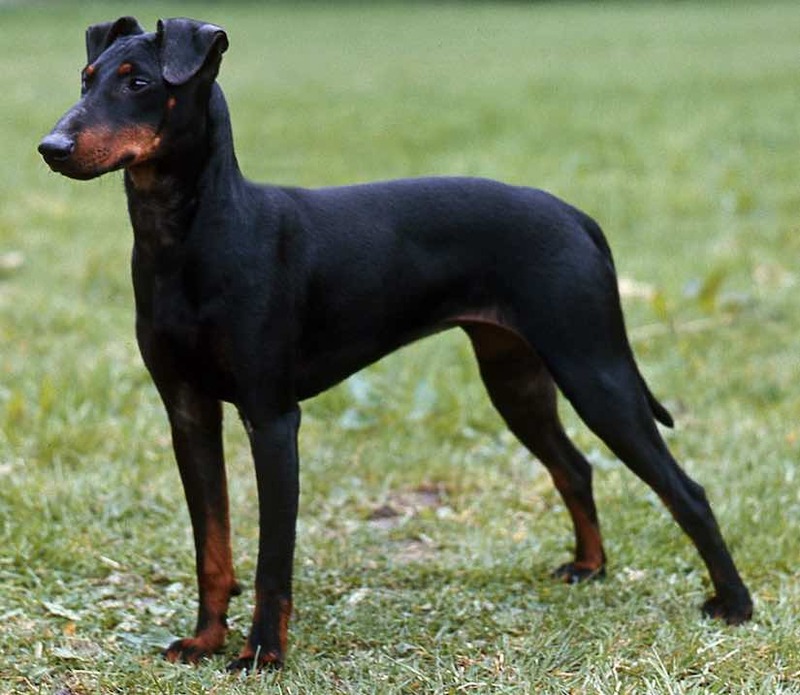 The breed name was changed from Black and Tan to the Manchester Terrier because of his efforts to stabilize the breed type. Height: 15″ to 16″ Weight – 12-22 lb. (5-10 kg). Coat and Colour: Coat close, short, and glossy; not soft. Colour black and tan, as distinctive as possible; the tan should be a rich mahogany color. A tan spot over each eye, and another on each cheek, the latter as small as possible. The lips of the upper and lower jaws should be tanned, the tan extending under the jaw to the throat, ending in the shape of the letter V. The inside of the ear is partly tanned. The forelegs tanned to the knee, with a black patch “thumb mark” between the pastern and the knee. The toes have a distinct black mark running up each, called the “pencil mark”. 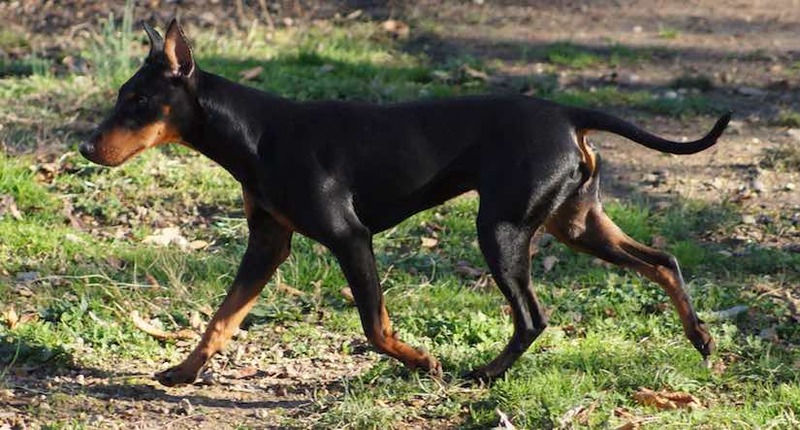 The tan on the hind legs should continue from the penciling on the feet up the inside of the legs to a little below the stifle joint, and the outside of the legs should be perfectly black. There should be tan under the tail, and on the vent, but only of such size as to be covered by the tail. In every case, the tan should meet the black abruptly. Head: Narrow, almost flat, with a slight indentation up the forehead, long and tight-skinned. Slightly wedge-shaped, tapering to the nose, and well filled up under the eyes, with tight-lipped jaws. The nose should be perfectly black. Level mouth, with no visible cheek muscles. Eyes small, bright, and sparkling, set moderately close to together, as near black as possible; oblong in shape, slanting upwards on the outside. They should neither protrude nor sink in the skull. Ears erect, or button, small and thin; smaller at the root and set as close together as possible at the top of the head. If cropped to a point, long and carried erect. Neck: The neck should be slim and graceful, gradually becoming large as it approaches the shoulders, and perfectly free from throatiness; slightly arched from the occiput. Forequarters: The shoulders slope off elegantly. Legs perfectly straight, and well under the body; strong, and of proportionate length. Feet are compact, split up between the toes, well arched, with jet-black nails; the two middle toes on the front feet are rather longer than the others. Body: The body is short, with powerful loins. The back has a slight arch at the loin and falls again to join the tail at the same height as the shoulder. Chest narrow between the legs, deep in the brisket; ribs well sprung out behind the shoulders. Tail: Moderately short, and set on where the arch of the back ends; thick where it joins the body, and gracefully tapering to a point; not carried higher than the back.